Cool. Who’s publishing it, if you can tell us? Creeping Hemlock. I’ll edit the above. Have heard a lot of great things about your writing in horror circles. I am really wanting to check out Red Sky and Scavengers. Any chance they will be in mainstream book stores or available as an e-book for iPhone, iPad, Kindle, etc.? Just don’t have the loot to drop $60 on a hardback. Thanks in advance for the response! I like the baseball bat worked into the title. 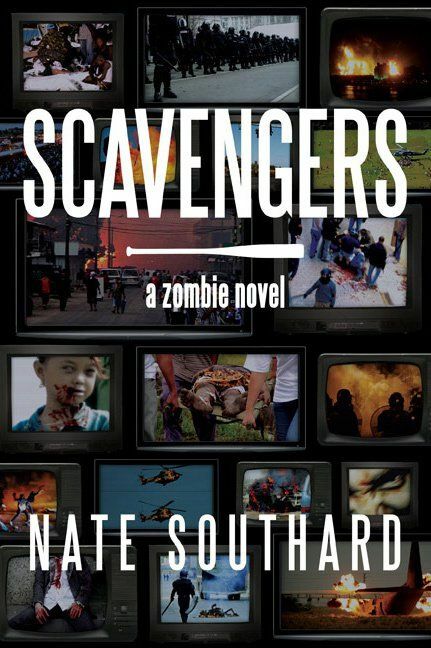 Mr. March – Scavengers will probably be available as an ebook within the next month. As for Red Sky… somebody’s looking at it for a trade paperback version, but only time will tell. Mr. Grikepelis – Oh, there’s a third surprise coming before World Horror next month. 🙂 Lights Out is the title of a novel I’m still trying to sell, so maybe you’ll still get to see that one someday. by the way, any plans to return to the world of ‘He Stepped Through’? Not sure. I love toying with the mythos. Maybe in another year or two….